50% of sales will be donated to the Eurostars: 16 talented elite female players representing Europe in the Americus Pro Cup. Highlighting World Class European Female players. Support European women's ultimate with your purchase today and wear this sharp and colourful 2018 Eurostars Blue Jersey. Eurostars team loves their fans! And they would like you to join the team! Luckygrass will produce official Eurostars Blue Jersey for you with your name and number on the back - exactly as the team will wear this August, playing against top USA/Canadian teams in North American stadiums. Order Eurostars Blue jersey with your name and number before June 30th. All design work is free of charge. Delivery costs will depend on the country and time - your manager will check it for you. We hope this jersey will inspire you and others to set and achieve the highest goals. Eurostars team loves their fans! And they would like you to join the team! The EUROSTARS official jersey is the SAME as the Game Day Jersey but with standard "EUROSTARS" as the name and "18" as a number (*if you would like the name and number of your choice please order the GAME DAY Jersey before June 30th). Delivery costs will depend on the country and time - your manager will check it for you. We hope this jersey will inspire you to set and achieve the highest goals. The Americus Pro Cup will be contested between Europe and America. 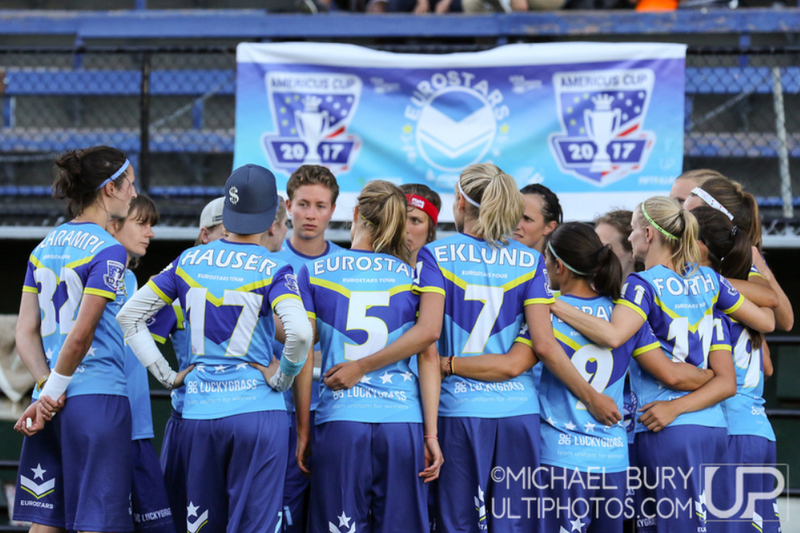 The EuroStars: a group of 16 Elite European Women players will travel to seven North American Cities to play the best of the best USA and Canadian Ultimate Women's club teams in a two-week period starting August 14th in Madison,WI. EuroStars promote gender equity in Ultimate through professional, elite level women's games and clinics. Providing Europe with Female role models at the highest level. Luckygrass is Moscow-based company that produces a full range of ultimate Frisbee apparel – jerseys, shorts, long sleeves, sleeveless shirts, polos, hoodies, sweatshirts, leggings and many accessories. Luckygrass produces sublimated apparel, you can order products with any design, a ready-made one or a design they will develop it for you. 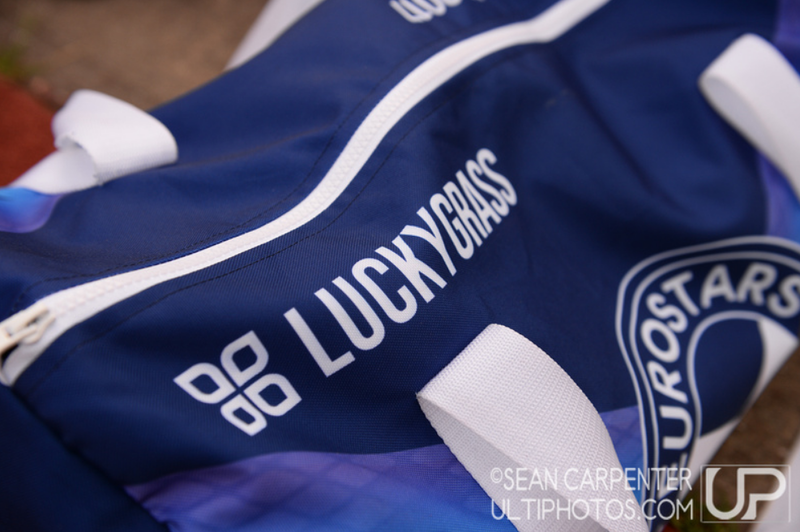 Luckygrass has been a proud Eurostars partner from the inaugural year. We are thrilled to have a long-term partnership that supports high level ultimate and promotes women's ultimate. Order before June 30th and you can add your name and number on the back - exactly as EuroStars players have it. You can pay with your credit card via international online system PayU or PayPal. Your manager will send you the link to pay as soon as all the details will be confirmed. Your order may be delivered to any part of the world by EMS shipping company. Where do you want to receive your order? kate (at) lucky-grass.com or message us at facebook.com/luckygass.